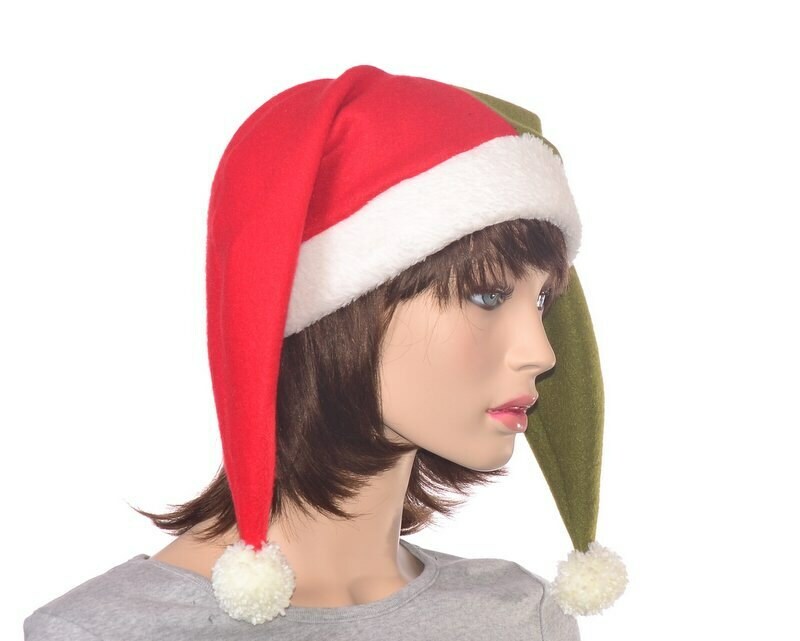 Christmas elf hat in red and green. 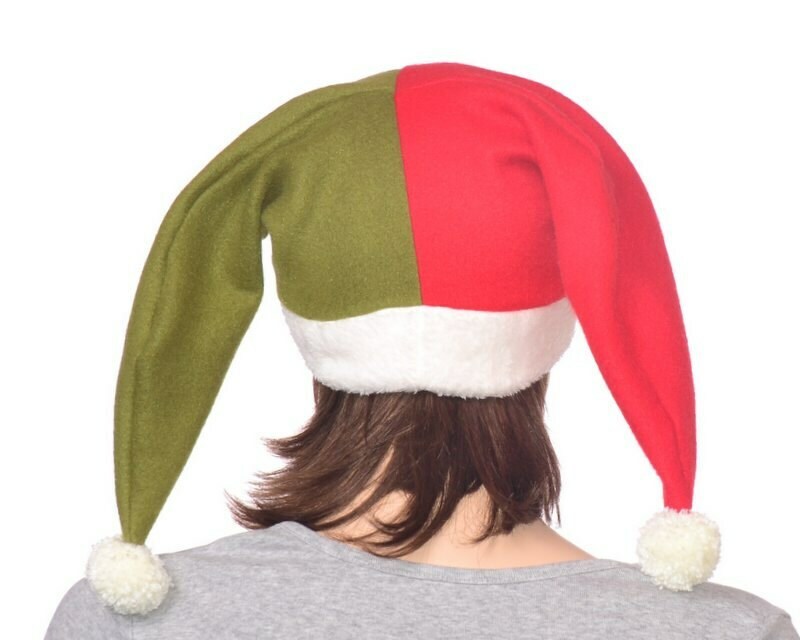 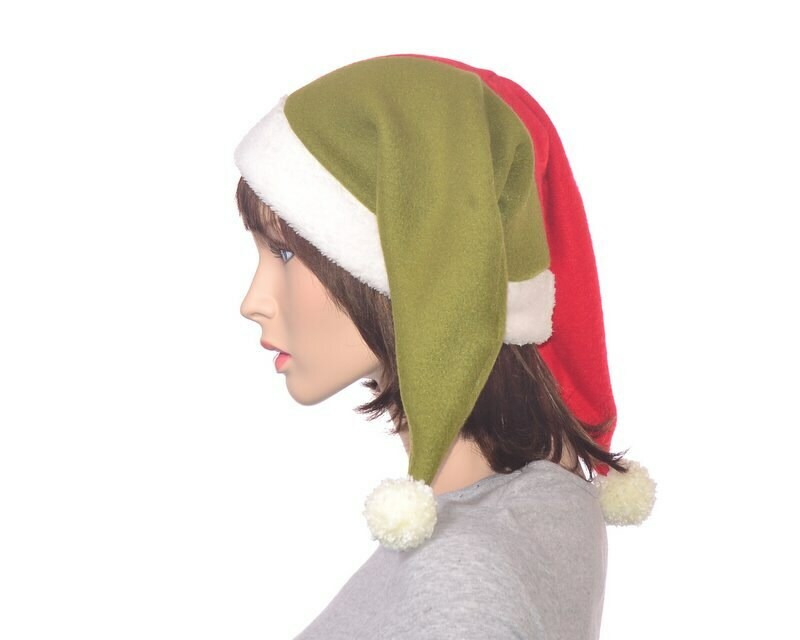 The body of the hat is made from fleece with one side a bright red the other a holly green. 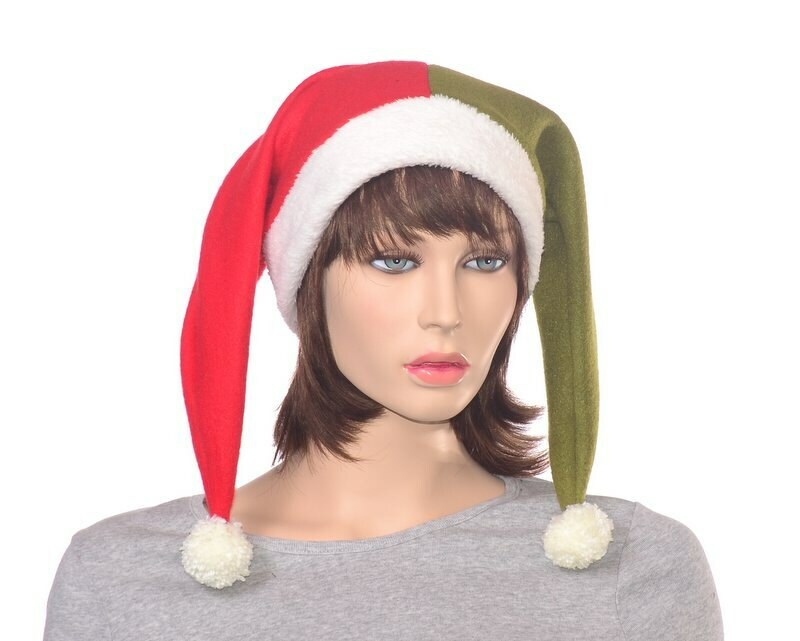 The double thick headband is made from fuzzy cuddle cloth. 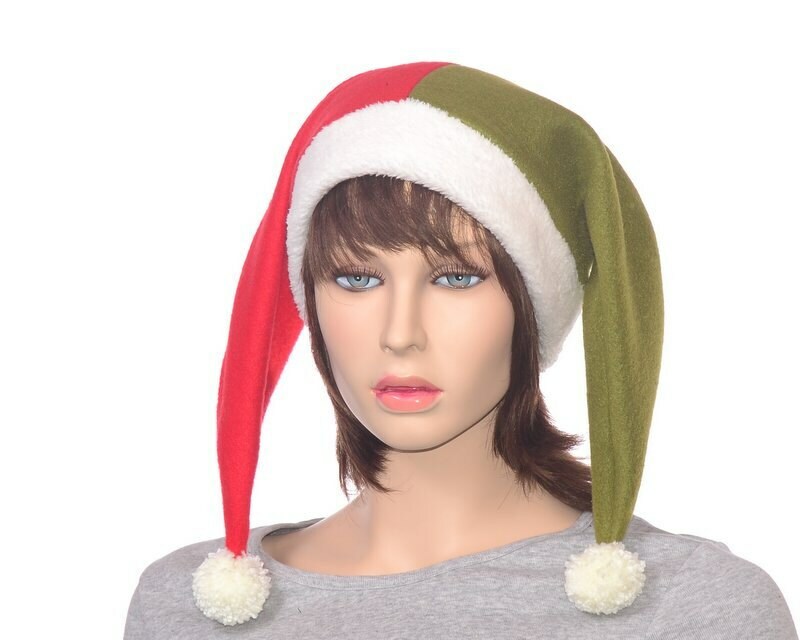 The headband and pompoms are in an antique white.